October 2017 will be a busy month for Pip & Paul. They’ve managed to secure a date at The Barn Theatre in Oxted for their hit show, the ingeniously titled “The Pip & Paul Show“. “We have decided to keep the format of the previous public show, but add in a lot of the new material and successes from our hit, prime time, European wide TV show” says a source close to the group (actually, it was Paul). The Barn Theatre approached the comedy duo early in the year to see if they would be interest in joining forces to present the show. Tickets are on sale now but are expected to sell quickly. Online: Pip & Paul at The Barn Theatre, Oxted. Episode 22 – The One With The Wind! Episode 21 – The one with Season 1 of our TV show! 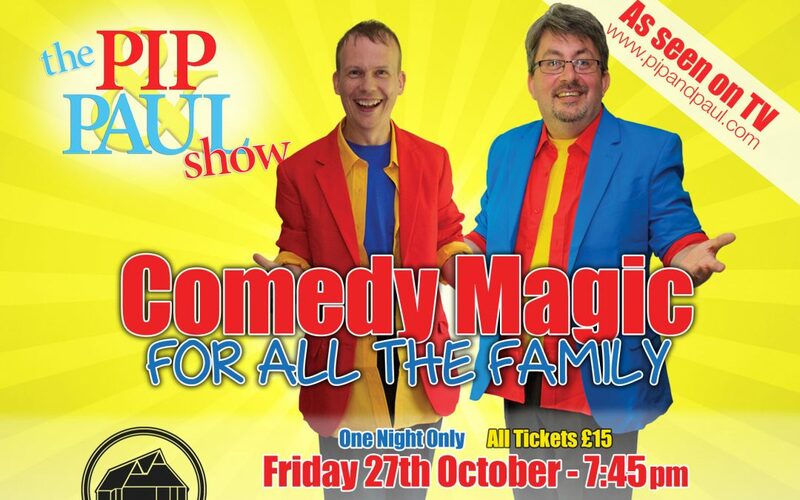 What do you get when you cross good fun family entertainment with two of the countries most in demand magicians? Pip & Paul, thats what. Get in touch for more information.